ROME, Italy – For the past two days, the largest meeting room at the headquarters of the International Fund for Agricultural Development has been filled to capacity for the 2014 session of the Farmers’ Forum, an ongoing consultation between IFAD and organizations representing small-scale farmers and rural producers around the world. The forum convenes every other year for a global consultation, held in conjunction with the annual Governing Council meeting of IFAD’s member states. This year’s Governing Council begins today with a full roster of official delegations and expert panellists. 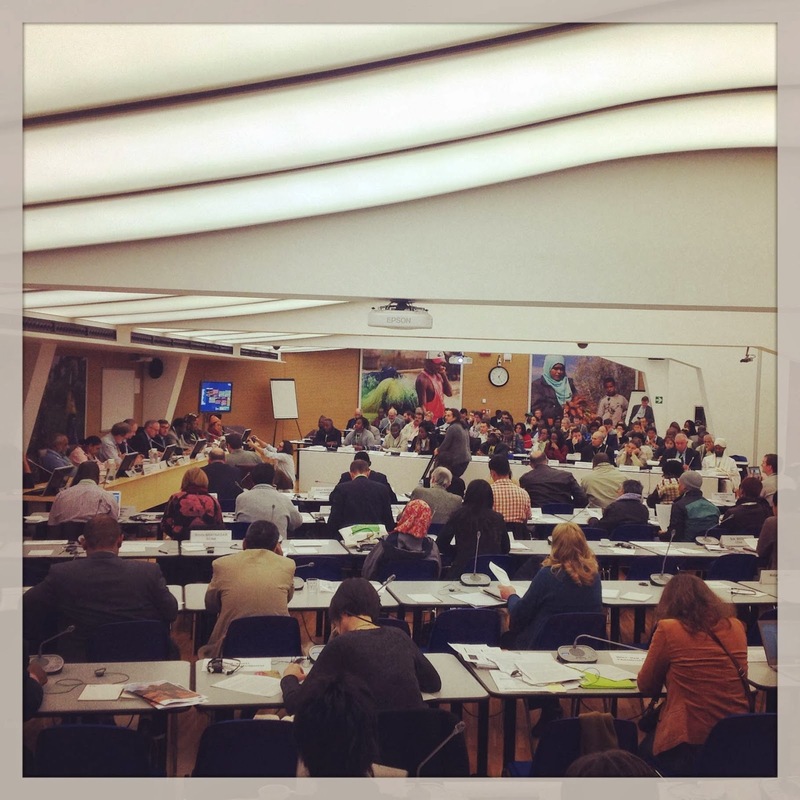 But in the run-up to that meeting, smallholder farmers, foresters, pastoralists and artisanal fishers held the floor at IFAD, voicing their concerns and sharing their ideas on reducing rural poverty and boosting food security – all from a decidedly grassroots perspective. This year, the Farmers’ Forum took place in the context of the International Year of Family Farming, declared by the United Nations to call attention to the important role played by smallholder producers in feeding rapidly rising urban and rural populations in developing countries. The forum also coincided with preparations for IFAD’s next replenishment of funding from member states, and with the broader international effort to define a sustainable development agenda for the post-2015 era. To advance rural development in a spirit of partnership and inclusiveness, the Farmers’ Forum featured plenary and working group sessions on issues of mutual interest to IFAD and forum participants. Topics ranged from managing small-scale fisheries and expanding market access for family farmers to strengthening women’s presence in farmers’ organizations and boosting the voice of smallholders in dialogues on agricultural policy. The deliberations concluded with a plenary session on a wide-ranging statement, drafted by Farmers’ Forum participants to convey their ideas and proposals to IFAD and its governing bodies. Noting that the forum was established almost a decade ago, the statement called for a joint effort to seize new opportunities that have emerged during that time. “If we do not seize them our collaboration risks stagnating,” it warned. Enhance collaboration between IFAD and farmers’ organizations in policy forums such as the Committee on World Food Security (CFS) and initiatives such as the Global Agriculture and Food Security Programme. 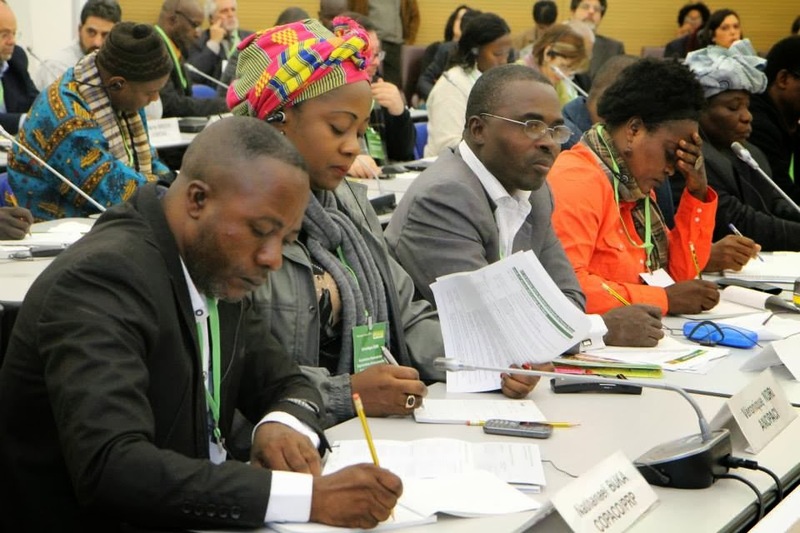 The participants also called upon governments to resolve the agrarian crises in their countries by – among other measures – making effective use of IFAD financing, implementing CFS guidelines on land tenure and adopting Food and Agriculture Organization guidelines on small-scale fisheries. For their part, the small-scale producers’ organizations made commitments to pursue a common agenda; enhance their ability to engage in policy dialogue and provide services to their members; and raise the level of participation by women and young people in their respective groups, and in the Farmers’ Forum as a whole. Over the next two days, the recommendations from the forum will inform debates and discussions at the Governing Council, as IFAD maps its course on investing in rural people in the years to come.